In 2010 the mineral sector was responsible for more than 38% of total industrial energy use and 11% of total final energy consumption. According to recent research, by 2035, mining is expected to comprise around 15% of the global energy market. While renewables currently represent less than 2% of mining energy consumption, if by 2035 renewables reaches an expected global production level of 40% of total output (according to the International Renewable Energy Agency (IRENA)), renewables in mining are likely to increase by over 3000%. 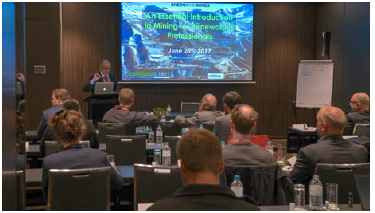 The aim of this workshop is to provide energy professionals with a comprehensive understanding of the mining industry. Participants will gain a greater understanding of the operational practices pivotal to the mining industry. Participants will be taught essential terminology and be provided with a clear understanding of the key concepts involved. 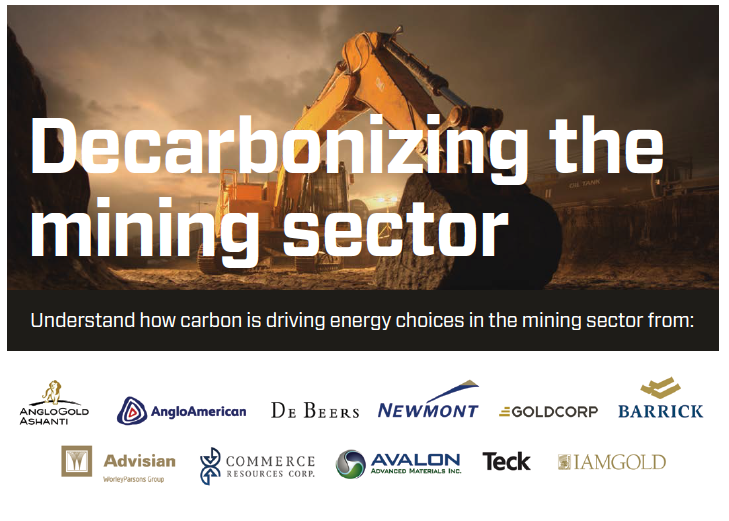 Mining professionals will also benefit from having a broader understanding of the mine energy issues and how these relate to larger changes across the energy landscape. 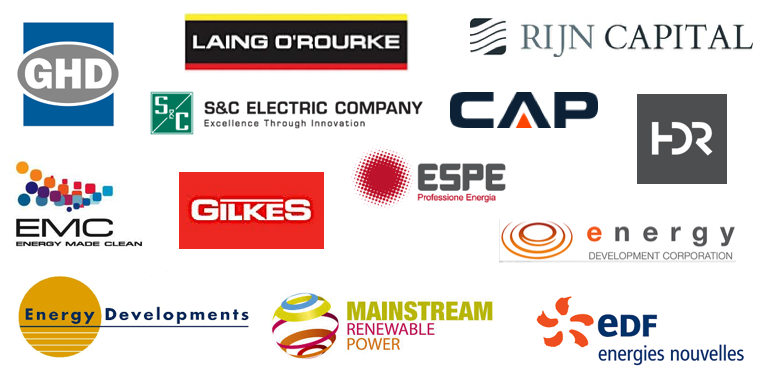 been enjoyed by a cross-section of professionals involved in energy, mining, and trade. Minerals, metals, ore and mine lifecycle. Reserves and resources. Metals and Alloys. Renewables and Mining major segments. 2016 R&M Awards. Licensing. Greenfield and Brownfield Exploration. Geophysics. Geochemistry. Geology. Diamond Core Drilling. Economics of Mineral Exploration. Pre-feasibility Reports. Stock Market Junior Mines Financing. Infrastructure (Energy, Water, Transport, Dewatering). Mining Engineers. Workforce. FIFO Decisions. Social & Environmental Considerations. Indigenous Impacts. Social License Decision Point. Digging Through the Numbers. Mine Cost Curves. Resource Equities Analysts. Mine Economics Decision Point. Feasibility Reports. Mine Transport (in & out). Trucks. Trains. Pipes. Ports. Living Plan. Geotechnical Engineering. Types of Mining. Surface Mining (Open Pit, Strip, Quarry, Leach, Dredge). Underground Mining (Room & Pillar, Open Stopping. Longwall, Sub-level, Block Coving). Processing (Gold, Iron Ore, Nickel, Copper). Blasting. Hauling. Comminution (grinding and milling). Concentration. Extractive Metallurgy (hydro – leaching, Pyro – smelting; Electro – refining). Closure vs. Reclamation. Care and Maintenance. Economics of Mine Closure. Closing a Mine. Mine Closure Examples. Renewables in Mine Closure. Electricity and Fuels. Power requirements (Drilling & Blasting, Excavation & Hauling, Lighting, Ore conveying, Concentration – Grinding & Crushing – Flotation). Copper, Gold and Iron Ore Mining. Drilling. Blasting. Mucking. Transport. Crushing. Hoisting. Ventilation (Surface and underground fans). Hoisting. Compressed Air. Electric Trucks. Mines of Platinum, Nickel, Gold, Copper, Lead Zing. Case Studies Comparison and Evaluation: Diavik (Wind, Canada), Raglan (Wind and storage, Canada) Juwi (solar PV and storage, Australia). 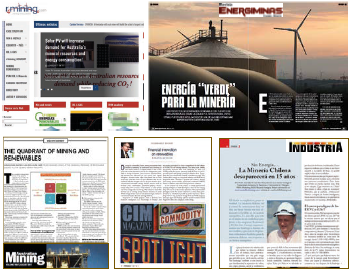 Cronimet (solar PV, Africa), El Toqui (hydro and wind, Chile), Rosebek IAMGOLD (Solar PV, solar thermal, small storage, Suriname). Comminution (Grinding & Milling) vs extraction. Leach – Solvent Extraction – Electro wiring, Absorption, Smelter, Drying, dewatering and Tailing disposal. Concentrates vs. Cathodes. Mining Services. Aluminum – Wet and Dry Cement – Copper – Iron Steel. Desalination. Pumping. Hydrometallurgy. Water and Maintenance. Mining electric vehicles evolution. Commodity transport energy requirement in mine. To port. Environmental impacts (Waste Rock, Tailings, Acid Rock Drainage, Dust, Noise, and Vibration). Impact Quality Control (Soil, Flora, Fauna, Water, Air). Waste Management. GHG Emissions and Carbon Footprint. Sustainable Mining. Environmental Impact Assessment Process. Employees. Community. Third Parties. Environmental to Social. Renewables, jobs, and CSR. Case Studies (Chile – Peru and “Comunidades Andinas”, Canada and First Nations, Australian, and aborigines, African mines and communities). Examples of standard Closure. Cases of Wind and solar PV mining Closures. Hydro storage pumping mine closures (surface and underground). Submission Requirements for a Reclamation Plan. Financial Assurance. Mining headquarters and operational departments. Organizational structure. Market concentration. Companies sizing. Leaders and Followers. Rankings of Renewables and Mining. The importance of EPCM in Mining. World Class Mining Supply Homologation. Renewables for Mining and for CSR Mining. Economy, productions, Provinces, metals, reserves, prices, people, employment, innovation, environment, CSR, and companies. Renewables Models for Utilities to Mining Consumption: Chile, Perú, Argentina, Australia, Mexico, Canada, USA. 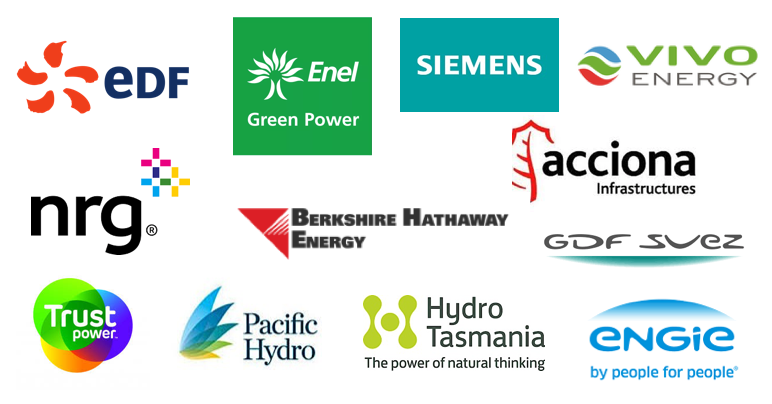 Renewables Models for Mining Power Companies: Canada, Chile, India, Indonesia, Australia, Iceland. Dr. Arnoldus M. van den Hurk is a trainer in technical and financial mining education for energy professionals. He has a Ph.D. in Geology from Barcelona and Tubingen Universities and MBA from Madrid – Shanghai. 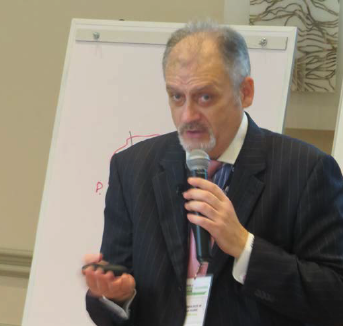 He is the General Manager of r4mining and Director of REMIO (Renewable Energies and Mining International Observatory). For 30 years, Arnold has been an adviser and professional in geo-mining, renewable energy, and financial analysis. He has worked in Europe, South America, the Caribbean, Africa and China. He has wide knowledge and experience in the renewables and mining sectors. He is passionate about connecting these two sectors to improve the triple bottom line efficiency of mining, reducing uncertainties and risks and mitigating climate change. He also has extensive training experience in universities, business schools and companies around the world. Attending the pre-conference workshop provided to be a very valuable decision. Arnoldus was able to give important and detailed industry insights which greatly benefited not only the conference discussions thereafter but our business approach in general. 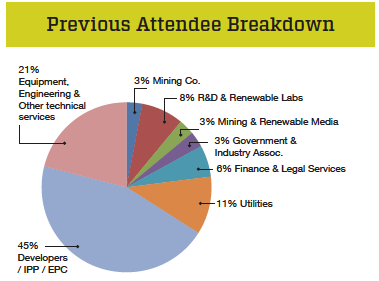 We highly recommend attendance for everyone looking to be active at the crossroads of mining and renewables! 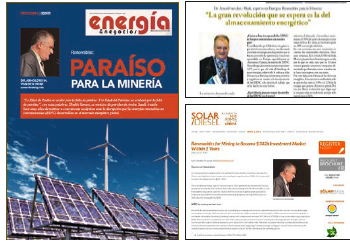 “Our department is in charge for infrastructure works proposals in Argentina contributing to the development of mining regions, Arnoldus’ workshop in Lima (Peru) November 2016 showed me as an excellent synthesis of the of mining and renewables situation and even more important, the vision of how to follow its ”symbiosis “in the future”. Arnoldus shows great skills to communicate complex mining concepts to beginners. I found Arnold’s workshop to be the highlight of the conference. 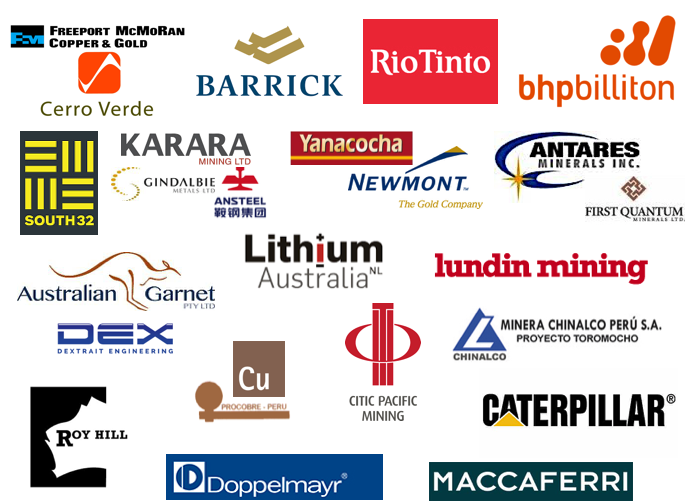 For those new to the mining sector, it will lodge you to get the most out of the conference. And for mining veterans, it helps provide perspective and clarity on corporate priorities in the industry. The Arnold’s (Energy & Mines’) workshop contains all the mining information an energy company may need to be compiled in a very intensive and productive session. Attendees will learn the best way to overcome miners worries, how to size the requirements for each mine and how to propose renewable solutions for mining. Arnold workshop has been a great help in order to understand how our miner customers think and how we can help them. He is able to explain Mining to newcomers like us and understands as well renewable energy and our issues and needs. Cost and Registration: (Canadian Dollars) $995 plus GST. The fee for the pre-summit workshop including the full day of lectures, lunch, and breaks. Workshop attendees will also have the opportunity to access 80, 4-minute video-classes consolidating the learned outcomes.